Sweet Jojo Designs Woodland Animals 3pc Twin Sheet set is made to coordinate with their Twin Bedding Sets. 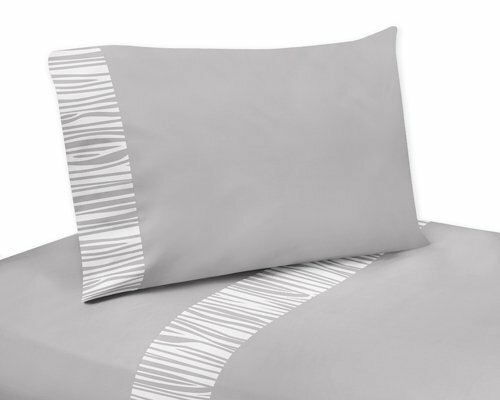 These sheets use solid grey brushed microfiber fabric with coordinating wood grain print trim. This sheet set is machine washable for easy care.